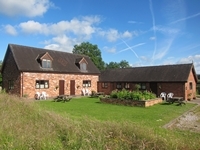 We are a small, award winning, family run campsite just outside Alton in Staffordshire with glorious views over rolling countryside and the Weaver Hills and yet within easy reach of Alton Towers, the Peak District, the Staffordshire Way and the world famous Potteries. We are ideally located for adrenalin filled days at Alton Towers (2 miles), great walking and cycling from the gate, brilliant pubs and of course the Peak District National Park just 20 minutes away. We have 30 well spaced pitches (17 Hard Standing, 4 Super Grass and 9 Grass) all with electric hook-up and stunning views over the Churnet Valley. Download our site map. We welcome families, friends and couples and we offer Exclusive Use hiring for special occasions from family gatherings for a Big BIrthday to Weddings. Our guests love the open spaces for football, BBQs and fun. Please get in touch to discuss your special event. Fun Days Out: Alton Towers is just two miles away from us, home to CBeebies Land, the brand new Wicker Man ride and, of course, SCAREFEST. Also nearby is Monkey Forest, Trentham Gardens, Gladstone Pottery Museum and more. Outdoor Life: We are located in the Staffordshire Peak District on the Staffordshire Way and just 20 minutes from the National Park itself and Dovedale. Enjoy stunning walking, cycling and National Trust properties. Culture and History: There is a wealth of places to visit locally including Sudbury hall Museum of Childhood, Chatsworth House, Middleport Pottery (home of the Great British Pottery Throwdown), World of Wedgewood and the Churnet Valley Railway. 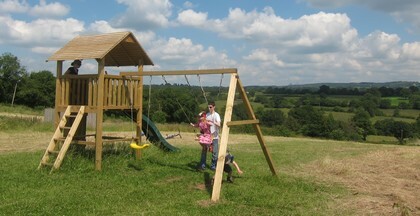 Also see their new Seasonal Pass offer at just £55 for a whole year of fun. We welcome families with children and provide a large family bathroom, children's play area and separate ball field. Well behaved and controlled dogs are welcome to make use of the 1km walking and jogging track around the perimeter of the property. 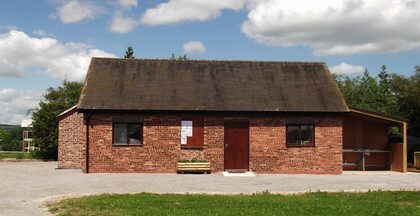 Charges are simply £18-£20 per pitch per night including two adults and electricity. 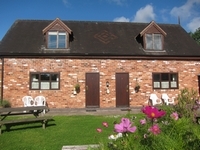 Extra people are £5.00 per night (Under 5's are free) No extras for awnings, extra cars or dogs. New (2012) heated toilet & shower facilities. Then please visit our holiday cottage website. 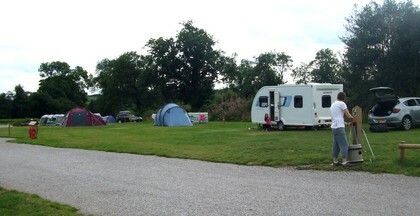 Overall, a great site, very very clean, very quiet, exactly what we hoped caravanning would be like, would definitely recommend it. Just hope future sites are of the same standard because the bar has now been set. The new purpose-built toilet/shower block is very very nice - possibly one of the best showers I've had on a campsite - and I like to stay on 5 star sites normally. Very new, very clean. The site is very quiet & peaceful with a play area for children and a good sized, mowed field where a ball can be kicked around. We really enjoyed our stay at this well thought out, family run campsite and would recommend it to other users visiting the area.